Snippets for all leadersWhether your a new leader or an experienced leader it's important to keep reading. This book is perfect. It leaves out the complex illustrations and sticks to advice and facts in short snippets. Easy ready but worth every minute. Some very inspirational quotes and ideas from big leading companies. 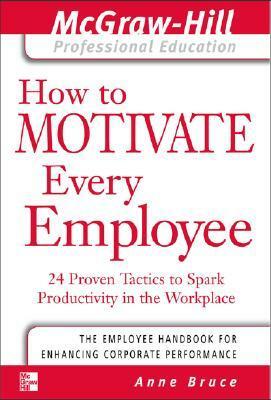 I really liked the advice this book gave, although at times I felt like if you replaced the word "employee" with the word "puppy," all the advice would still apply. Anne Bruce - About the Author Anne Bruce is a nationally recognized speaker, workshop leader, and author. Her books with MHP include "Motivating Employees" (Briefcase), "Be Your Own Mentor" (Briefcase), "Building A High Morale Workplace" (Briefcase), "How to Motivate Every Employee" (Mighty Manager), "Perfect Phrases for Documenting Employee Performance Problems", and "Discover True North".